HTC has embraced the Google Android OS with open arms over the past year, releasing a trio of devices – the G1, Hero and Magic – which show off just why Android has taken the mobile world by storm. While the Android interface brings a brilliant Google sheen to the mobile market-place, it has come at a price, with most of the handsets packing lengthy contracts or expensive one-off payments. Enter the HTC Tattoo. Alongside the T-Mobile Pulse, the Tattoo is all about catering for the more budget-conscious phone user who wants to utilise Android, but not pay over the odds for the privilege. We're not talking about masses of money saved – a tenner a month off a contract here, a £100 off a handset there – but the arrival of the OS on the HTC Tattoo does point to a bright future for mid-range devices sporting Android. When it comes to comparing the phone with its other Android bedfellows the HTC Tattoo has more in keeping with the HTC Hero than it does with the HTC Magic and G1. 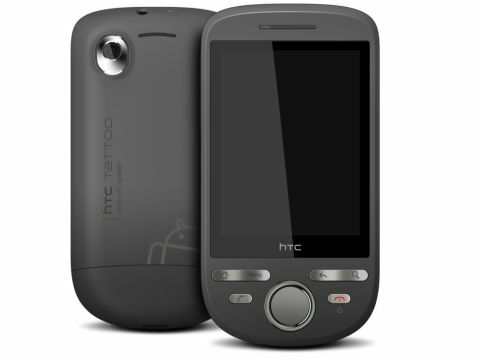 This is all because the HTC Tattoo uses Sense UI, which is HTC's own 'skinned' version of Android. So, instead of the now-iconic large Android clock, the main interface is dominated by a digital clock and location-specific information explaining what the weather and temperature is like in your vicinity. The HTC Tattoo does bring with it something different, however, and that is Android 1.6 – this update brings some rather nice tweaks to the Android interface, which we shall talk a bit more about further on in the review.